Once in awhile a home comes on the market that will simply take your breath away. Welcome to the grand love nest, perched above the street in this pocket historic district steps from the University and minutes from Downtown. 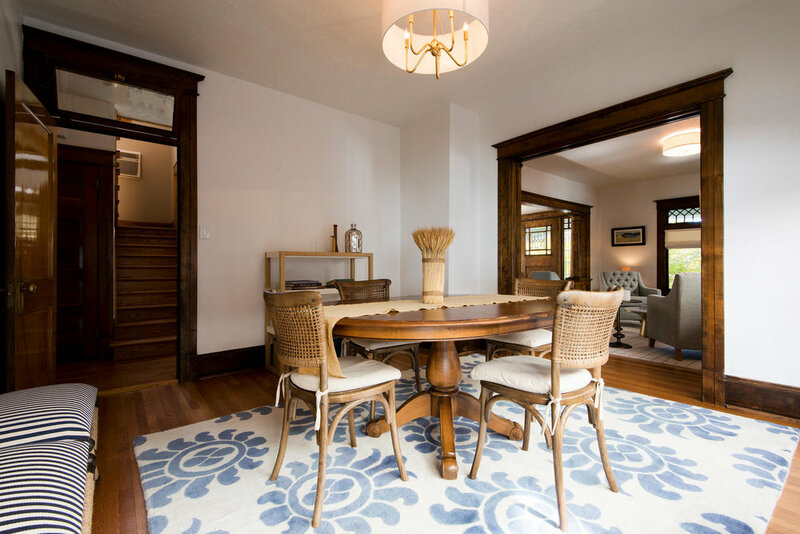 All of the subtle charm of historic homes can be seen here--from the original leaded glass windows, to the well maintained original flooring, trim and doors. 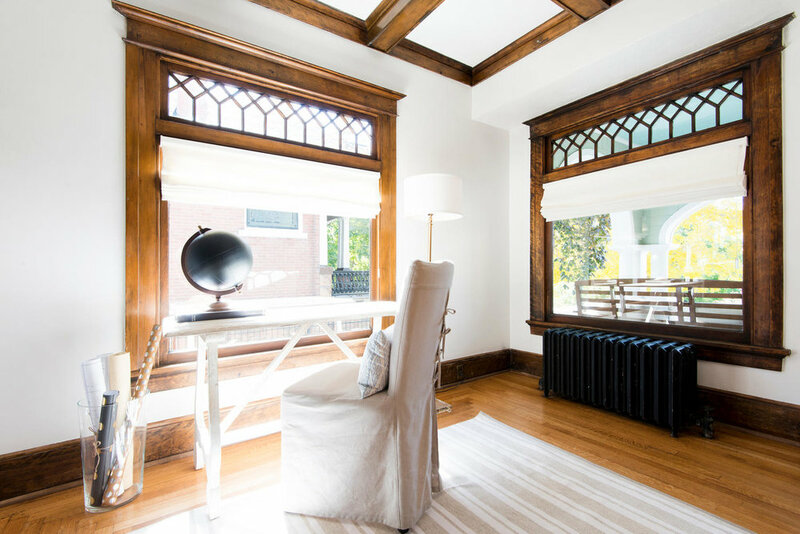 High ceilings throughout the main floor add distinction to the formal dining room, living room and sitting room. 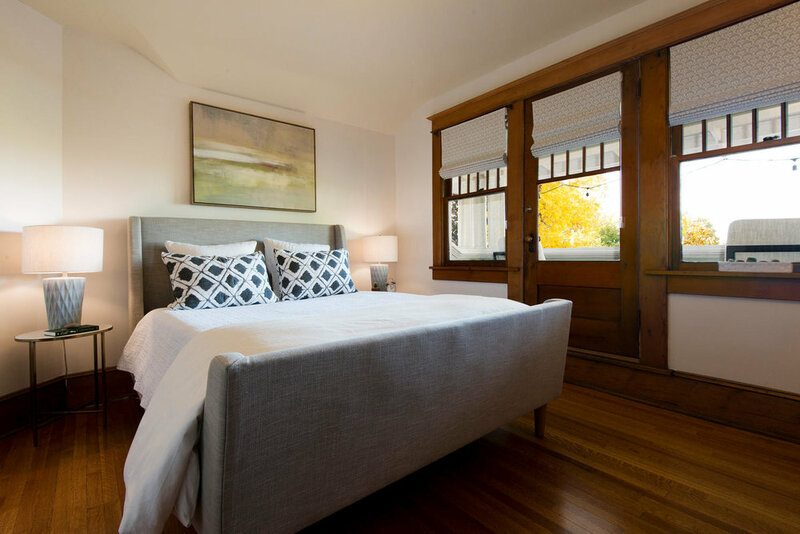 A large main floor bedroom and full bath will work great for guests or visiting family. 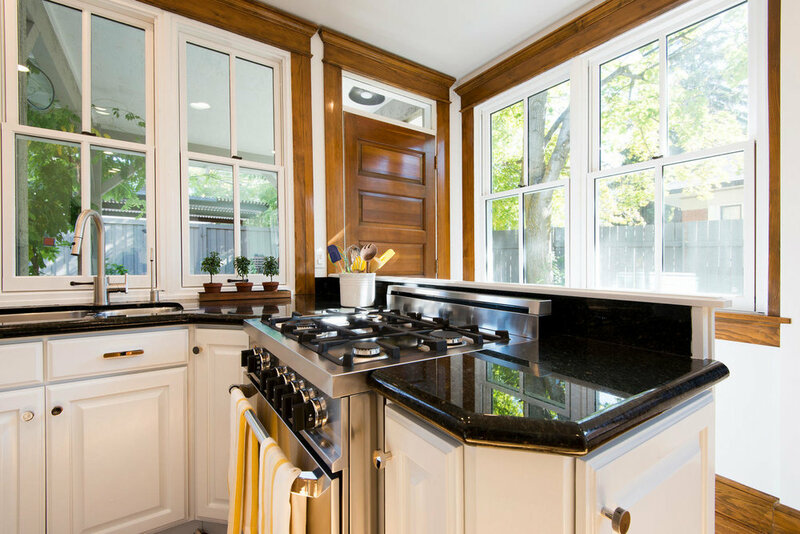 Sunny kitchen has brand new Bertazzoni appliances, Pella windows and looks out onto the landscaped rear yard. Alley access and covered parking makes access to the home a breeze. Room to build 3 car garage. Upstairs you will find 3 more bedrooms with a large full bath and laundry. The front bedroom includes access to the lovers perch which has great views of sunsets and the city skyline. A 2 bedroom apartment in the basement has it's own access from the rear of the home, but could also be easily converted back into part of the house if the new owner desires. Truly one of a kind, so don't delay. Basement apartment currently rents for $900/month.